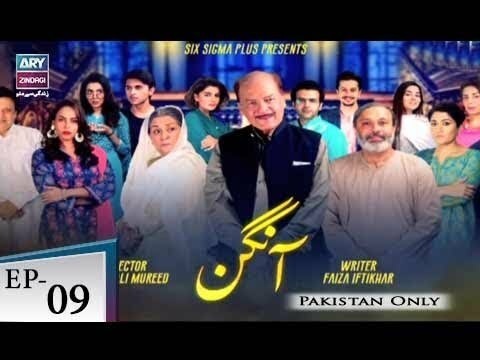 Aangan is story of a family which eats together, lives together, fights together, which has positive and negative both kind of members with full hilarious and serious characteristics. Mansha Pasha plays the role of the youngest daughter Zoya, who has alot of proposals over the year and is yet to be married. The three daughter in laws share a very typical kind of bond, leaving everything on Zoya. she looks after their kids and the kitchen as well. This makes Zoya against of marrying into a joint family.